The grooved surface pictured above is a slickenside. Slickensides indicate the relative direction of movement between fault blocks (hanging wall moved up, down, laterally, etc..). Slickensides form when fault blocks move against each other. The natural irregularities on each scratches grooves into the other. The grooves are parallel to movement; for instance in this example, movement was either to the right or the left. To tell whether it was right or left, you can rub your hand along the slickensides. They feel smooth in the direction the fault moved and rough in the opposite direction – it’s like petting a dog from tail to head. 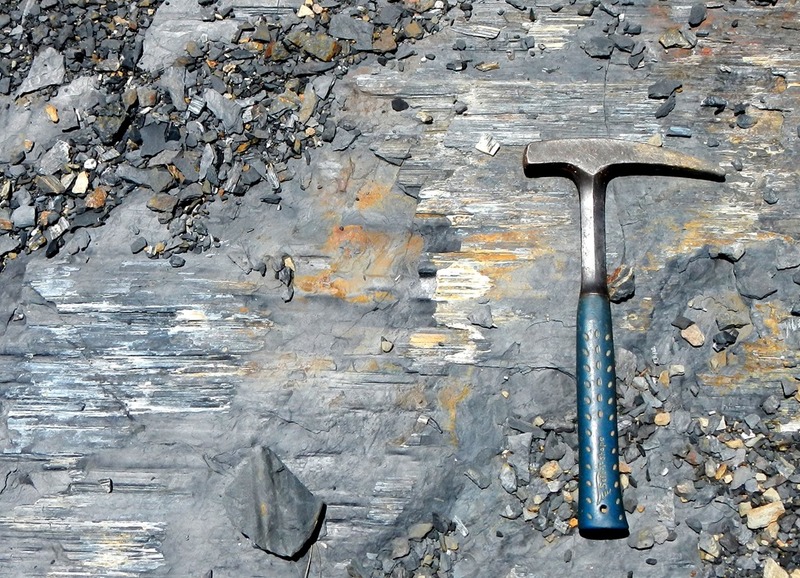 Slickensides are a valuable tool because determining fault movement can be a challenge when there are no easily-recognized beds that can be correlated across the fault to show the sense of offset. The shale above was photographed in Big Rock Quarry, North Little Rock, AR. It’s a part of the Jackfork Formation (Pennsylvanian). 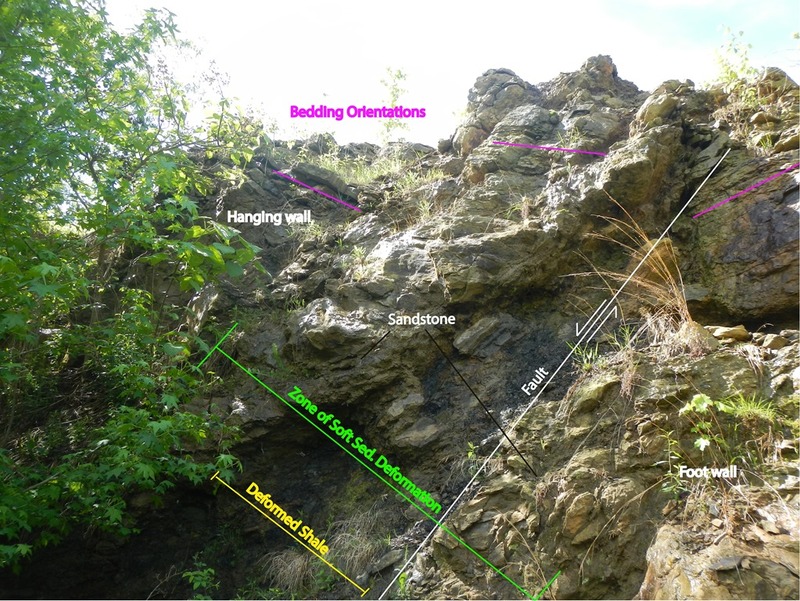 This entry was posted in #geoblog, GeoPic of the Week and tagged Arkansas, Chalk, fault, footwall, Geology, hanging wall, jackfork formation, offset, Ouachita Mountains, Pennsylvanian, Pressure, slickensides on May 24, 2017 by argeology.